Industrie Polieco-MPB (MPB) is the biggest European compounder of polyethylene and polypropylene mainly for two applications which are steel pipe coating and film packaging. MPB is a private owned Company founded in 1977 by Mr. Luigi Tonelli, who is successfully leading it, applying his curiosity and courageous unconventional ideas, focusing his vision on an enterprise which is a solutions provider, pursuing restlessly some core values: safety, health, environment, integrity, high ethical standards keeping a responsible role when developing and engineering new product solutions. The core business! 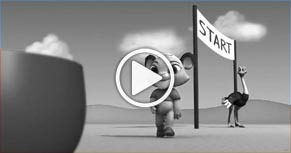 In this application MPB is European leader and the second largest player worldwide. 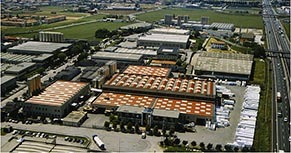 MPB own the best pilot plant in the world used for R&D, marketing and customers’ service purposes. 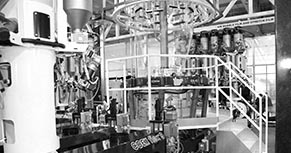 It is a complete coating line from Selmers. Since the last two decades MPB has been supplying polyethyelene, polypropylene and adhesives for the major worldwide gas and oil pipelines. The most recent one is “Nord Stream I” “Nord Stream II” where MPB positioned itself as major polyethyelene, adhesive and rough-coat PE powder supplier. MPB is an associated member of “IPLOCA”. MPB entered successfully this segment of business in October 2011. MPB produces tie-layers products based on polyethylene, polypropylene, "EVA" modified with “MAH” and other polar groups. Also for this application MPB avails its R&D laboratories of a dedicated pilot line, which is 5-layers blow-film coex, co-extrusion line. Industrie Polieco MPB proposes its grafted tie-layers to flexible high barrier film producers that co-extrude multi-layers high barrier film either with blow-film or cast-film co-extrusion technologies. MPB tie layers have been successfully used on W&H, Macchi, Reifenhauser, Kuhne multi-layers coex lines and triple bubble lines. Industrie Polieco-MPB yearly invests important resources in Research and Development to be ready to follow and even anticipate the relentless market growing demand for better, safer, higher-tech, products solution. 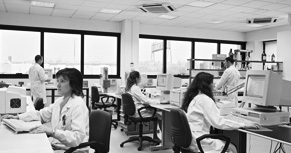 The R&D laboratories are equipped of unique pilot plants, that indeed enable its technical experts to speak the language of its Clients’ technical team. The Company enjoys strategic cooperation with Universities, Research Institutes and synergy with petrochemicals. 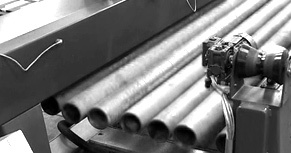 Industrie Polieco-MPB is undeniably one of the most Clients’ needs oriented Company in the world. The Clients and the Business Partners are valuable to the Company and even part of its success. 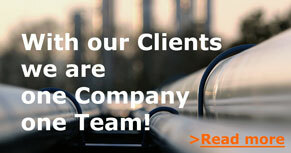 MPB keeps unity and dialogue with its Clients as the believe is that “we are one Company one Team”. MPB offers to its Clients the most qualified technical assistance, being highly specialized in the field in which operates. Clients’ preference is MPB outmost reward! Industrie Polieco MPB is located in the marvellous area of Franciacorta, more than 2.000 hectares of wine-yards defined D.O.C.G. in 1992. A strip of plain, gentle hills with medieval castles, monasteries and villas some of which today have been converted in world famous wine cellars or luxury hotels with SPA. This area is part of one of the most important European industrialised areas where the strong will of the local indefatigable entrepreneurs have lead the region to the today richness and prosperity. MPB mission remains to achieve sustainable growth, creating new products through the power of our constantly improving knowledge and professionism; We agree with the phrase of Peter Spitz, Austrian chemical engineer, Chairman of Chem System: "And so, the search continues and we are privileged to be observers and sometimes even participants, for those of us who believe that the advancement of science and technology is an inexorable process that brings far more good than harm to mankind the future looks bright".